Basecamp 3 is introducing Hill Charts, a new way of seeing the bigger picture of a project. The concept is based on the idea that every piece of work has 2 phases. The uphill phase is where users figure out their approach. In the middle is like being at the top of the hill where they can clearly see the goals. The downhill phase is all about execution. The latest update makes it faster for users to choose which lists to track using a Hill Chart. An improvement on profile cards or avatars allows a team member to get more information. When they click on a user’s profile card, they can see which company the user belongs to. They can see the user’s role, if he or she is an Administrator, Owner, or Client. They will also see what time it is where the user lives. This is helpful when working with a new member, tracking down an admin, and avoiding to disturb someone who might be asleep in their part of the world. A nice Basecamp 3 new feature is the ability to color folders in a similar way users color items in their Docs and Files. This simple enhancement enables them to differentiate an important folder and make it stand out. It is also a way to place one’s own color coding system or just make it pleasing to the eyes. The project management software brings together 7 powerful tools that users can choose from in managing their work. The latest update enables them to easily choose which tool or a combination of them to use in a project. They can easily turn a tool on or off, and change the set of tools they are employing. Basecamp 3 is an effective system because of its collaboration features. Teams, partners, clients and organizations stay on the same page, while the system promotes clarity and accountability. It is now easier to invite another user with fewer steps to complete. The streamlined process is a lot simpler. The My Drafts area holds posts, announcements, articles, proposals and other documents in private. However, not everything gets published. Previously, users need to figure out more information about their drafts, and which ones they can safely discard. Now, a better interface allows them to see all their draft Messages and Documents. Also, they see when they were last edited and which project they live. A trash can icon at the right side of the draft allows them to delete with one click. The Jump Menu shortcut is a favorite among Basecamp 3 pros. It is a fast way to navigate around the application. Users just click on the control or command key plus the ‘J’ key. By typing a few letters, it quickly filters to Projects, Teams, and People bearing the same characters. Now, finding that project and jumping there fast is possible as they pop up to the top of the list. 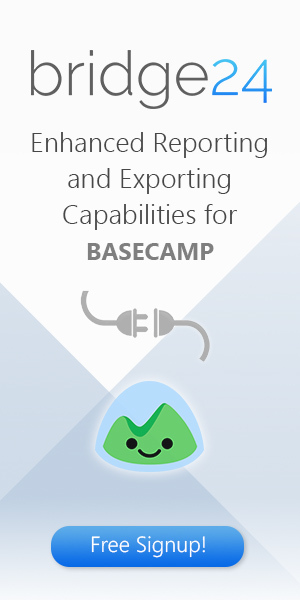 Basecamp 3 continues to make improvements and useful features for their customers. With these round up of fresh updates, they can continue to work more calmly but effectively. 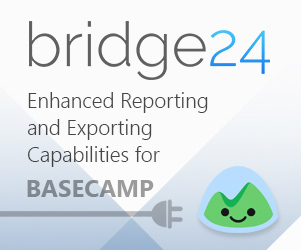 For more information on new features and the latest updates, visit Basecamp also on Twitter, Instagram, or YouTube.